Home automation has really come a long way in recent years. What used to require elaborate and complex equipment can now be controlled from simple touchscreens or even Apple’s iPad. Home automation can be used by year round owners to control many systems or by seasonal owners who might want to monitor their second home’s electricity use. While automation systems can be quite elaborate, let’s focus on a few areas: audio systems, lighting, and security. It is important to consider these items when planning your remodeling project. With the use of iPods and digital music, the audio environment has become a common consideration and component of most remodeling projects. New automation systems can link to music libraries stored on computers or iPods. Simple interfaces on the systems allow you to search for the music you want and control volume levels. No longer do you need to go to several pieces of equipment to control the music – it’s all on one screen! Automation systems can also be used to control a home’s lighting. 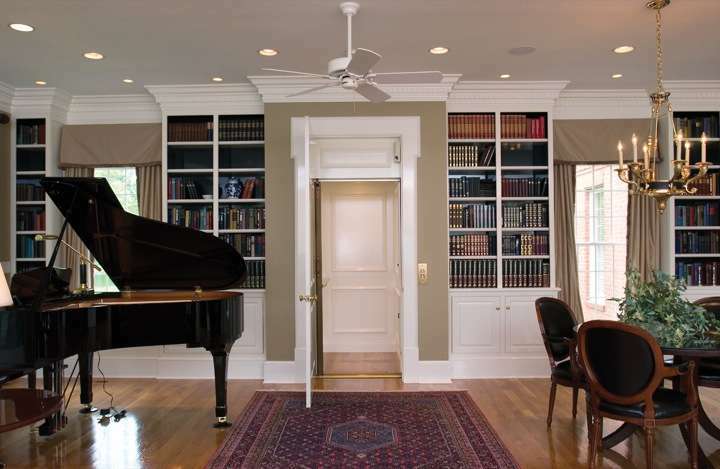 With some systems you are able to create themes for various lighting scenarios – say if you are entertaining. You can also set themes so that designated lights turn on or off at specified times. Some systems allow you to access and control lights or appliances from a remote location. If, for example, you are on vacation and want to check to make sure you turned off all of the lights or perhaps you would like to turn them on – home automation systems allow you this ability. 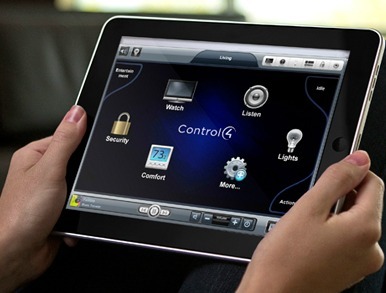 Finally, home automation technologies allow you to better control your home’s security system. 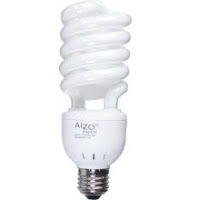 As with lighting, you can control when the system turns on or off and you can control it from a remote location. 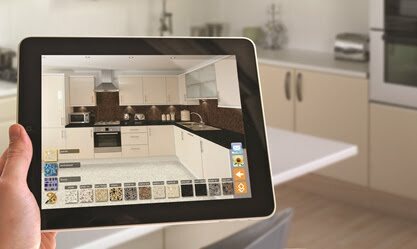 You can also integrate surveillance cameras and view those over the same touchscreens. Automation greatly increases the functionality of systems and provides new opportunities to expand their capacity. So when you are planning your next home remodeling project, ask your design-build professional about home automation. These systems are best incorporated when you are already planning new wiring and lighting, so it’s best to install these systems at the same time. We’ve touched on a few key features of the systems but they can do much, much more! While it’s quite easy to put off thinking about getting around when you are older, when it comes to planning your home renovation this might not be such a good idea. Thinking ahead about how you plan to live in your home is an invaluable process in remodeling. But how should you go about this with all of the other decisions you need to make? The best way is to rely on the knowledge and expertise of your design-build professional. Preparing your home for your future is one of the most important steps of planning. You should ask yourself the most basic question first: Do I plan to remain in this home? If the answer is yes, then you should start taking steps to ensure you will remain comfortable and safe in your home. Let’s start with a bathroom remodeling project. There are a few easy steps to take so that in the future, if needed, you can make the space accessible. In all of our projects, we install blocking in the shower walls, around the toilet, and in other areas where future grab bars might be installed. Also, if you are planning your project why not consider increasing the door width to 34” to potentially accommodate a wheelchair. Advancements in product design have made accessible toilets, sinks, and showers much easier to build and install. 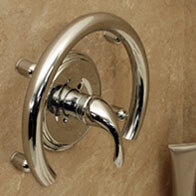 Even some of the new bath hardware has been designed to serve as both a fixture and a grab bar – and they look nice too! Another area of the home to consider when thinking about the future is stairs – both inside and outside of the home. Exterior stairs provide a unique challenge because they are both necessary in many cases and they serve as an aesthetic component – as in the front stairs of a home. However, if you are planning a renovation that will involve an entry point – say to a back deck or porch – it is beneficial to at least analyze how a ramp might someday be incorporated into the structure. Planning for this need is better than one day having to just build on an appendage ramp. The interior stairs are also challenging, but there are options. Stairlift systems have come a long way since the old clunky first generation systems. New lifts have options for curved stairs, stairs with landings, or even exterior models. The designs are much more sleek these days with all sorts of color and finish options. Elevators have also come a long way. While this option is more expensive, sometimes it is the best alternative if it can be incorporated into the structure. These systems also have numerous finish options, styles, capacity, and technical details. Whether there is a current need or if you plan to stay in your home for many years, planning for accessibility is a vital part of the remodeling process. Ask your design-build professional for guidance in this area. At Classic, our project consultants are planning to become Certified Aging in Place Specialists. This will provide them with the technical training they need to amend their design and construction knowledge to better serve our customers. Please feel free to ask us about these features on your next project! Now that you have asked your potential contractor a series of questions, it’s time to make sure they are asking you the right questions. Developing a good working relationship with your contractor is key to completing a successful remodel. During the planning process, your contractor should ask a series of questions in order to ascertain your needs and ensure they can achieve your goals. Let’s review some of those potential questions so that you are better prepared when you start your next remodeling project. 1) What are the specific issues that your remodeling project should address? Are there things about your home that you might want or need to significantly alter? In most cases the answer is yes. Be specific in your conversations with your contractor. Make sure they address this early in the planning process. 2) What are the constraints that might affect your project? These are very important issues to define during planning and might include things such as zoning restrictions, easements, setbacks, or FEMA’s 50% rule. All of these items might affect the feasibility or scope of your project. 3) If your thinking about an addition, how large of an addition? Determining how much space you need is critical to defining the parameters of your project. Is an addition truly necessary or could the existing footprint be reworked in some way? We’ve had clients come to us thinking they needed a two-story addition, but after design and planning, we determined that their needs could be met by working within the existing footprint of the home. 4) What is the style or character of your home? As you think about your remodeling plans, decide if you want to maintain the style of your home or change it. Can the look you want be achieved through subtle alterations or will it require more extensive changes? 5) What are the room-by-room requirements of your project? It is important to work room-by-room to document your requirements so the complete scope of work can be developed. Consider the small things as well: changing out door hardware, painting trim, new closet shelving, etc. 6) Do you want to update your existing mechanical systems? 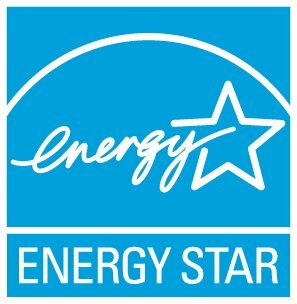 The mechanical systems in your home are the major consumers of electricity and have significant costs over their lifecycle. Changes such as switching from an electric tank water heater to a gas-fired tankless heater could result in significant savings over time. 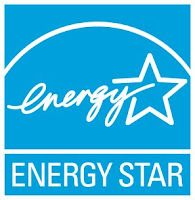 Also, new HVAC systems are much more efficient and could make your home more comfortable. Make sure these issues are addressed as you plan your project. 7) Finally, how much can you realistically budget for the project? This last item might be the most important. Make sure that your contractor inquires about your budget and provides you with comprehensive pricing. Know in advance what you can actually afford and work towards that number. In many instances, a potential contractor might quote a very low number up front to land the work, then slowly hit you with change orders along the way. Questions about budgets are a very important part of the planning process. As you can see, these are important issues to consider when planning your project. Each affects the scope, budget, and schedule and should be well-planned before construction begins. Make sure that your contractor asks you these and other questions so that clear communication can develop. This can make the difference between an enjoyable remodeling experience and a very unpleasant one. Choosing the right design-build professional is always a difficult decision. In recent years, with the remodeling market flooded by contractors who typically work in new construction, many homeowners have chosen contractors based solely on price, which can prove to be disastrous down the road when a project goes awry or the contractor disappears. Price is only one part of the equation. Let’s take a look at the whole picture and consider some questions you should ask your contractor when planning your next remodeling project. Most states require contractors, even sub-contractors, to be licensed. Make sure your contractor is properly licensed by asking to see their license or asking for a copy of it. Also remember to check the expiration date. If a contractor cannot produce a valid license, it would be in your best interest to look elsewhere for your remodeling needs. 2. Will you provide me with references from clients, as well as credit references from vendors and banks? A good contractor will be happy to provide you with references. You should look for a well-established contractor who can give you several client references. You also want to ensure the contractor is financially sound and will not be declaring bankruptcy during your project. In order to protect your investment, ask for credit references from your contractor’s vendors and banks. 3. Do you guarantee your work? Your contractor should guarantee their work for at least one year from date of completion; many contractors provide multi-year warranties. Ask what their warranty is on finishes, systems and structural. 4. How do you handle the “dirty work”? Construction is potentially dusty and dirty. Ask how your contractor plans to keep the dust contained. Ask how they will protect your home, yard, children and pets. Make sure the contractor has a plan in place to sweep up and place all construction debris in a predetermined place or refuse container at the end of every day. 5. Do you carry workers’ compensation insurance? Make sure your contractor carries workers’ compensation insurance, as it protects you from liability if a worker is injured while on your property. If the contractor does not carry workers’ compensation coverage, you may be liable for any injuries suffered by the contractor, or any of his employees on your property. If the contractor is a one-man operation, he can be exempt from having to carry workers’ compensation insurance. If he is doing so legally, he can provide you with a copy of his Construction Industry Certificate of Exemption from Workers’ Compensation. Make sure your contractor pulls all required permits. When a contractor pulls the required building permits, you know things will be done to “code.” Also, many homeowners’ insurance policies require pulling a permit on any major remodeling to keep your home properly covered. 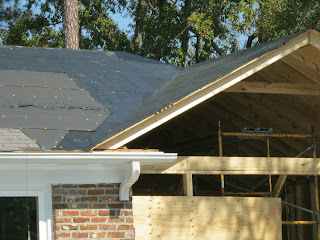 Many contractors prefer not to pull permits because of the time involved and the “hassle” with the inspectors. A reputable contractor will permit every job where a permit is required. 7. Who will be in charge of the job? 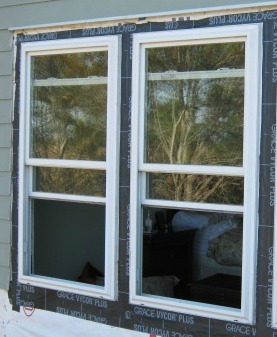 Make sure the contractor or his project manager is on the job whenever work is being performed. The responsible party should be familiar with every aspect of your project. This will put your mind at ease about the work that is being done in your home, even when you aren’t present. As you can see, there is a lot more to consider when choosing your contractor than price alone. When planning your next remodeling project, we encourage you to use these questions as you vet contractors. Keep in mind, remodeling projects succeed as partnerships between you and your remodeling contractor and not as simple transactions. Summers in Charleston are HOT! It's early July and already we're seeing temperatures in the upper 90s. When it gets this hot, we Charlestonians feel very fortunate to be surrounded by water. Despite our abundant water supply, water conservation is still an important goal for this necessary and finite resource. Conservation is relatively easy to do and it saves you money in the long run. 1) Turn Off The Water. When brushing your teeth or washing dishes, try to always turn off the water when you are not directly using it. 2) Limit Irrigation. Only water your lawn and plants when it is required. Try to use native species that can withstand the climate and do not require much water. 3) Choose Low-Flow Fixtures. Most manufacturers now carry low-flow shower heads and faucets. There isn't an appreciable difference in the performance of the fixtures – but you will see savings in water and money over time. 4) Low-Flow Toilets. These are becoming more common in today’s residential market. 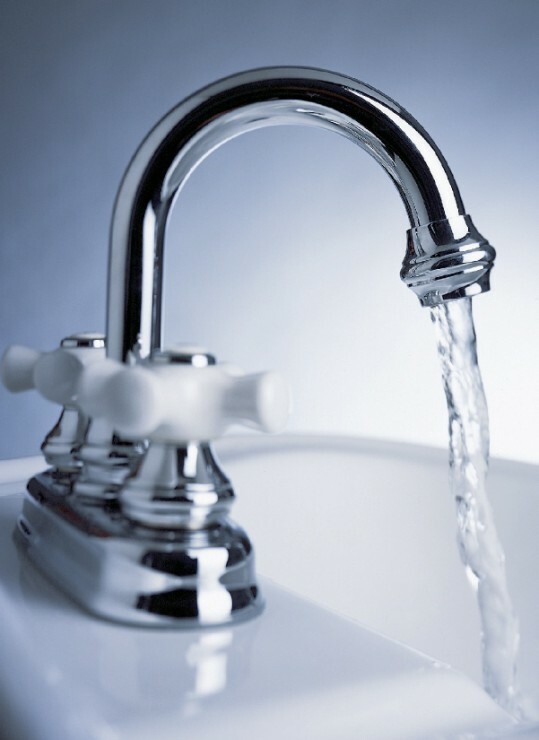 There are two flushing options: one for liquids and one for solids – each using a different quantity of water. 5) Showers vs. Tubs. It is common these days to only have a shower in at least the master bathroom. Many customers point out that they rarely use a tub due to time constraints. When planning your project, consider a shower only design option. You will save in the cost of a tub and its installation and you will save a lot of water – showers use considerably less water than tubs. 6) Recirculation Pumps with Tankless Water Heaters. 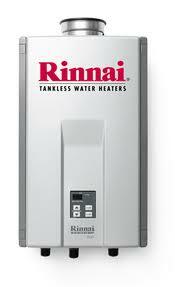 Should you choose to install a tankless water heater and it is feasible, consider using a recirculation pump with small backup electric tank to keep a continuous stream of heated water flowing through the house. While there is more cost and additional electricity use in this option, a considerable amount of water is saved by not having to run all of the cold water out of the pipes waiting on the heated water to arrive. So even though water shortages are not common in Charleston, the effort to conserve this resource is an important goal. Through a variety of simple methods, the goal can be achieved with relative ease. When planning your next remodeling project, consider utilizing some of these techniques to conserve water in your home. 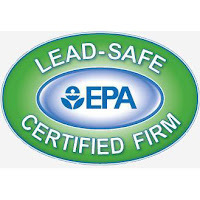 In 2010, new rules by the Federal Environmental Protection Agency went into effect regarding lead safe practices in the remodeling and renovation industry. The purpose of the new regulations is to protect building inhabitants, particularly children, from the dangers of air-borne particles and lead dust. The goal of the program is to implement practical changes to work practices to decrease the potential for contamination. The EPA’s new Renovation, Repair, and Painting (RRP) rule requires that renovations must only be conducted by EPA Certified Firms and Renovators. The new process has a number of steps that must follow a certain sequence. The first step in the process is to determine if any part of the structure was built prior to 1978, when the use of lead paint in construction was officially banned. We do this by verifying when the structure was built through public records. 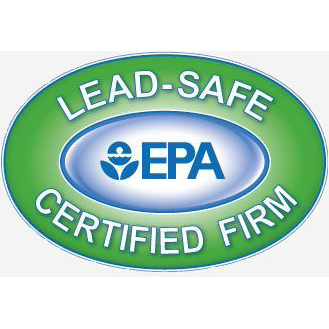 If a building is deemed to possibly contain lead paint, then we must proceed as if lead exists and notify the owners in writing. Before actual works begins we must post warning signs. 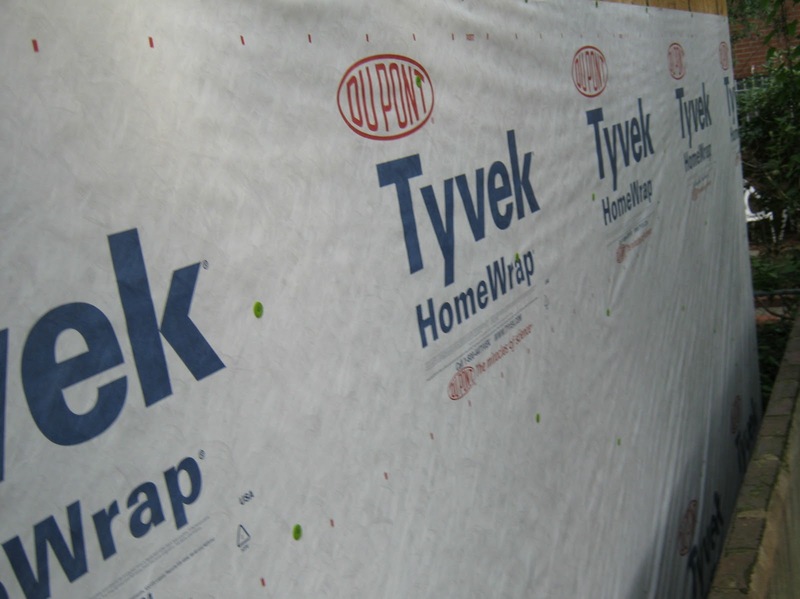 During the construction phase, we must remove or cover any items within the work area and then isolate the area with plastic wrap and sealant tape. All surfaces in the immediate work area, such as the floor, ground on the exterior, vents, windows and doors, must be covered or sealed. At the end of the each work day the area must be thoroughly cleaned to ensure no areas are contaminated with lead dust. Following the completion of work we must certify the area is clean and contaminate free. We must first clean the area according to the rules of the RRP program. We must then test and document different areas with approved swab kits. At the end of the project we must produce a Post-Renovation Report. There are hefty fines for failure to follow these guidelines, so we take them very seriously! While there are many more details of the regulations that are too lengthy to summarize here, we wanted to provide our customers with the reassurance that we are certified in these measures and insure compliance. Many of these steps we have taken for years, but these rules produce verifiable guidelines and documentation. We are sincerely concerned about the safety of our customers and our workers, so non-compliance is not an option! While it’s usually not given a whole lot of thought, appropriate ventilation in the kitchen and bathroom is important for a variety of reasons. Most people consider this a utilitarian component of the home, but there are a surprising variety of options for both the kitchen and bathroom. Let’s look at some of the things to consider when weighing your product solutions for these areas of your home. Kitchen ventilation has come a long way since the old recirculation fans with wire mesh screens or above-the-range microwave vents of yore. Nowadays, the vent fan is either cleverly disguised in cabinetry or a central aesthetic component of the kitchen. 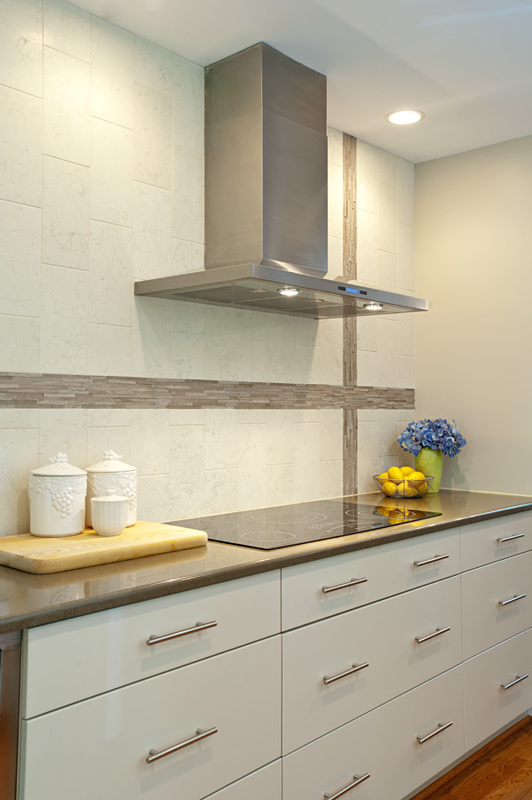 When locating the vent hood, be sure to consider height so that it accomplishes two main objectives: to draw away smoke and exhaust for better indoor air quality; but also to avoid being an obstacle while cooking at the range. You want it to be just the right height so it works for you. We always coordinate this detail between the client, designer, and project craftsman onsite before installation. Also consider the strength of the motor. You want it to be strong enough to draw the exhaust and get it out of the house, but not too strong so as to draw too much of the conditioned air outside. This is usually decided during the project design phase. Finally, you want the right look so the unit appears part of the design and not just an afterthought. Like kitchen ventilation, bathroom ventilation has come a long way in recent years. There are a wide variety of products to choose from, such as: standard ceiling mounted fans (but they are much better these days), fans hidden in recessed ceiling lights, wall mounted fans, and small fans in multiple locations with a remote motor. These all operate in different ways and have different cost levels, so they should be discussed as your project is being designed and planned. We always weigh the pros and cons with our clients during design so that they end up with the right solution. Placement of the units in the bathroom is also important to successfully draw all of the moist air from the bathroom to prevent mildew. This detail is always reviewed during our pre-drywall walk-throughs with clients to make sure everything is in the right place and to their liking. A central component of this walk-through is to make sure that when the project is complete, everything works as intended and looks well-planned. So there is a lot to consider when planning kitchen and bathroom ventilation for your remodeling project. With some careful thought and preparation, you can have practical results and an aesthetically pleasing space.